I am loving the training. Despite the fact I do not do all of it. Now, the rain!!! I can really do and like a controlled, planned, training session, there is a defined start and finish and I can focus, conserve and prepare and check off the boxes as we progress through the session. But if it is unknown. . .like a race, it is not so good, too many elements come into play that are not controlled, hmmm. I will always try to work hard and perhaps that will motivate others to push even harder too, harden than they think they can. I like the focus on the trunk stability, adjusting the hips, maximizing power, I know I need to work on my pedal stoke and high cadence. High cadence really poops out my legs. I also need to work on my pedal stroke, I am imagining those ovals, but executing, who knows? Especially during the sprints. Julie, you are the first cycling coach that I have worked with, but I have worked with coaches in other sports, and you are amazing, you are holistic, so well studied, and almost guru like. Quite an admirable talent to have an share with others. I am glad that our paths have crossed. I do hope that you are able to share your talents with younger athletes too. Silver Sage Sports Performance Center has just installed the ParvoMedic True One Metabolic and Vo2Max testing cart. This is the unit currently in use at the US and Canadian Olypmic training-centers. The lactate threshold and Vo2max testing equips individuals with the tools to fine tune training. The science-derived test data allows athletes, from elite to recreational, to maximize their precious training time investment, determine individual fitness strengths and weaknesses, and to track training effectiveness. Professional bike fitting and gait analysis helps ensure biomechanical efficiency and is applied to help injured athletes return to action, provide injury prevention strategies and/or improve performance. For further information or to schedule an appointment, please visit silverssagecenter.com or o2fitness.net or email jyoung@o2fitness.net; or call 775/853-9394. No matter the time of year – optimize your training opportunity by attacking each day, from rest to specific intensity, with understanding and purposeful intention. Winter, so-called off-season, is an opportunity to build a wide deep foundation of cycling specific fitness that allows for improved in season durability and recovery. But there is a fine balance of working on specifics while maintaining the perspective that it is off-season and time to prioritize rest as well as mental and physical diversity to fully recharge and regenerate. The key is maximizing this phase of training to develop the endurance base and efficient cycling mechanics while also emerging hungry and excited to ride, not cycling-stale. At any point in the season, it is essential for you to work in partnership with your coach. As an athlete don’t resort to blindly, going through the motions of a prescribed training plan, but take the opportunity to understand the why of training and how you individually respond and adapt. The off-season is an ideal time of year, with no performance pressure, to develop this deeper understanding. It also presents an equally valuable opportunity for the athlete to take greater creative liberties with the training plan. 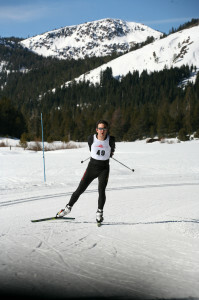 This might include – performing the specified training elements but keeping it more spontaneous in nature; seizing the opportunity to do what feels and sounds right vs forcing that should do mentality; and capitalizing on a variety of endurance base cross-training opportunities like Nordic skiing, snowshoeing, mountain biking, trail running and hiking. It is valuable to keep cycling specific elements in the training to fine tune and hone mechanics/economy of movement and cycling specific strength and power, but when possible mentally and physically mix it up on easy days and endurance days. This year o2fitness devised a comprehensive season-long, systematically developed team training plan for members of the Rio Strada cycling team. It kicked off a couple weeks ago. It provides participants with a daily training plan posted on TrainingPeaks, supported by one weekly coached, structured team workout and one team endurance ride. Thursday night team workouts, take place on turbo trainers – building that team togetherness and bonding. We use the Flower Farm in Loomis as our base camp, but also take field trips to other workout sites. Last week we swapped Wednesday for Thursday and met at the Folsom Rodeo grounds to spectate the Rodeo Cyclo-Cross. We took a night ride on the bike trail as our warm-up, and then positioned the turbo trainers and the most action-packed corner of the Rodeo cyclo-cross course. Spectating the roller derby on bikes, uber-energized the workout. These weekly team workouts are opportunities to focus on key elements of base training, including – honing pedal stroke efficiency; economy of movement/speed skills; climbing technique/skills; specific cycling strength; tempo/medium endurance intervals; and improving in saddle horsepower and out of saddle explosive power. These Thursday night workouts also include off-bike movement preparation, glute activation as well as functional strength. Throughout the year, cyclists (as well as all endurance athletes) need to prioritize non-sport specific functional strength in the form of dynamic trunk, single leg and hip/pelvis stability designed to improve cycling biomechanical efficiency. This functional strength conditioning also creates the safe and effective foundation of stability and movement, as we progress toward explosive plyometric strength training. Sunday is the get out there and enjoy winter riding, with teammates training. The team meets and hits one of the multitude of world-class, rolling, ascending and descending foothill routes at a pure endurance pace. Bottom line – we do not want to win training – we want to understand how each and every day connects to our long term racing goals, and hit each and every training day with intention and purpose. Maintain the big picture perspective to guarantee you are hungry to race your bike April through September. I think I had my best Davis ride today. We changed the cranks to the 170s with standard chain rings. Love the new gears. Much more comfortable and my legs did not hurt like they normally do. I can’t wait to get home and compare my rides on Strava to check the speed of this ride over last week. I am especially excited to check our the overall time of the climb – I felt powerful, strong and efficient, and made it over Cantalo and down the other side in time to start the ride back with the group. There’s 2500 race participants in Geyserville waiting for the start of the Healdsburg Half Marathon the last weekend of October. The announcer is talking about the course, “there’s water at miles 2, 4,…and Accelerade at miles…and white wine at mile 10. This is a beautiful course, so everyone needs to take advantage of the rolling hills, vineyards and lovely scenery. Make sure you enjoy the race and have fun.” There are several of us dressed up in Halloween costumes creating a festive mood. Batman, Wonder Woman, 3 little pigs and a wolf, and several others are waiting for the start. The announcer continues, “even the elite competitors in the front should have fun and and take time to enjoy the course.” Does that mean I should enjoy the wine at mile 10?I’ve been taking Julie’s running clinic, met some awesome running buddies, and want to see if I can improve my half marathon time. I did the Seattle Rock and Roll Half in June with similar elevation gain and temperatures, so I should show some improvement. At least I hope to have improved. Maybe I should skip the wine. But then again, how often do we get to drink wine during a race? Well, let’s see how I feel at mile 10. Everyone is ready to go. Jimi Hendrix plays the national anthem. Ready, set, and we’re off. Around mile one, we’re running up a hill that’s about 1/2 a mile long. We’ve been training on hills, so this should be a cinch. O.K., keep the pace steady and comfortable. I have 12 miles to go. The ladybug who’s been next to me since the beginning seems to pick up her pace. That’s OK, I can catch her in the downhill when gravity is my friend. Down hills have not been a favorite of mine, because the impact seemed to slam my body. Julie has taught me to embrace the downhill and has improved my form. There’s a little bit of a bend in the road, and I can’t tell if I’ve reached the top and should pick up my pace for the downhill. YEA, we’re at the top of our only big hill, and down I go. And yes, I caught the lady bug! I’m enjoying the downhill when a dog blows by everyone along the right shoulder of the road. This isn’t someone in costume. It’s a real dog who’s name is Willie. I saw him wondering around the start, and apparently he has decided to join the race. Is he looking for his owner? Hope they find each other. (More on Willie later). On I go, mile after mile. At mile 6 I look at my Garmin. I haven’t done a 10K for awhile, but I think I’m ahead of my personal best. I probably look at my watch every 1/100th of a mile before I finally reach 6.2 miles. Cool, I’m about 1 1/2 minutes ahead of my best 10K. Thanks Julie!! O.K., don’t get too excited, I’ve got 7 miles to go. Luckily Julie is in my head saying “Think about form.” Pelvis, check. Arms, check. Glutes, check. At mile 8, my calves are cramping a bit…focus on keeping my glutes activated. I think I am, but it’s not helping. What else can I do? Julie always talks about pedaling an imaginary bike spindle. I try this and am amazed the cramping seems to subside. This is the time in my 1/2 when I typically have to deal with leg cramps and slow down a bit. I’m able to keep up with a butterfly that’s just passed me. Mile 9 comes up, and my calves are cramping again, and I”m no longer able to keep up with the butterfly. Julie pops back into my head, “focus on form.” It’s helping. Margaret Skillicorn, who also took Julie’s clinic has a motto. “I can do anything for 4 miles, I can do anything for 3 1/2 miles.” Now I have both Julie and Margaret in my head. The company helps! Margaret is saying, “I can do anything for 3 miles.” But my calves are cramping again. Do I have some of the wine coming up and coast to the finish? No, I want to see how much I can improve my time. Julie pops in and says, “Focus on form, think about the bike spindle.” It’s working again! Shoot, there’s another hill. It’s short. Julie always says , “break the race course into segments and make that your race.” I can push a little bit to make it to the top of the hill. Focus on form. Pelvis, check. Glutes…arms…bike spindle, check. I’m so focused on form, the pain is more tolerable. I see the butterfly up the road again. I can’t catch her, but at least I’m making progress. I can do anything for 2 1/2 miles. Shoot, there’s another hill. Focus on form, get to the top. I turn a corner and it’s less than a mile to the finish. I start to pick up the pace. I can do anything for a mile. Well, maybe not. I’ll break the last mile into race segments. I pick up the pace for a block. That wasn’t so bad, I pick up the pace for another block, and another block. I can keep up the pace, and the finish is down a short hill and around the corner. I can do anything for a couple blocks. YEA, I am done!! All of Julie’s coaching and training with my new run buddies was such a help. I’ve been trying to improve my half marathon time for about 5 years and have only dropped 4 minutes. Today I’ve been able to take almost 10 minutes off of my time since June. Thank you Julie! Thank you run buddies! Willie the dog apparently won the race. He was digging around some shrubs when I finished. His owners were in Geyserville having no idea what mischief he had gotten into that morning. He was later arrested by local law enforcement but bailed out by his owners. Julie always talks about the recovery being so important. Well, we’re off to a local restaurant for lunch and mimosas!